is long enough. At least 14 characters or more. has both capital and non-capital letters. It isn’t that hard to create a strong password. 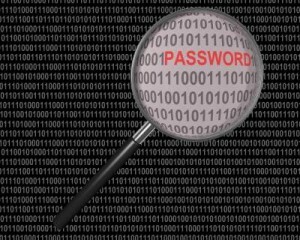 A strong password will reduce the chances your account being hacked. Without a good password, you probably wouldn’t notice until it was too late. Put a symbol as the first character of the password. Immediately after first symbol, you may insert any word you like such as your pet’s name. Allow the first two characters to be capital letters. After that, you may insert any number you like. It can be your last few digits of your ID number, your mate’s birthday number, etc. It should be at least 4 digits. Lastly, put another different symbol as the last character of the password. Try to be creative enough for the words in between. It’s best not to use your name, or anyone else’s name that you care for, for your password. And of course, do not use any number in your identification number, whether or not it’s just the first few or last few numbers. That’s the most common guesses for passwords. Think twice and think smart. Well, what we want is a strong and creative yet easy to remember password. One that you can remember even for decades (you will have to use it often though). But, what if you have so many other account’s passwords that you can’t share the same password (best practice is to not share a same password)? Well, you can use a same password format like the one shown earlier, and change the words accordingly, for example, %jessygmail5656@, %jessybank777@ for different purposes. This is just an example of many other ways of developing a creative password and best practices for when you are creating one. If you have something else in mind, maybe something much more creative and complicated, you should just go ahead and use it, as long as you can be sure you will be able to remember it even after decades later. It’s not always bad to keep a piece of note for all the passwords you have created. You just have to keep the note well from anyone else and burn it when you think you no longer need it. You can check the strength of your newly made password in this page to see if it meets your need. For better understanding on password strength, feel free to visit what is a strong password.